Photo Credit: Curt Beal The Sheepskin Trail cuts through central Fayette County, PA. 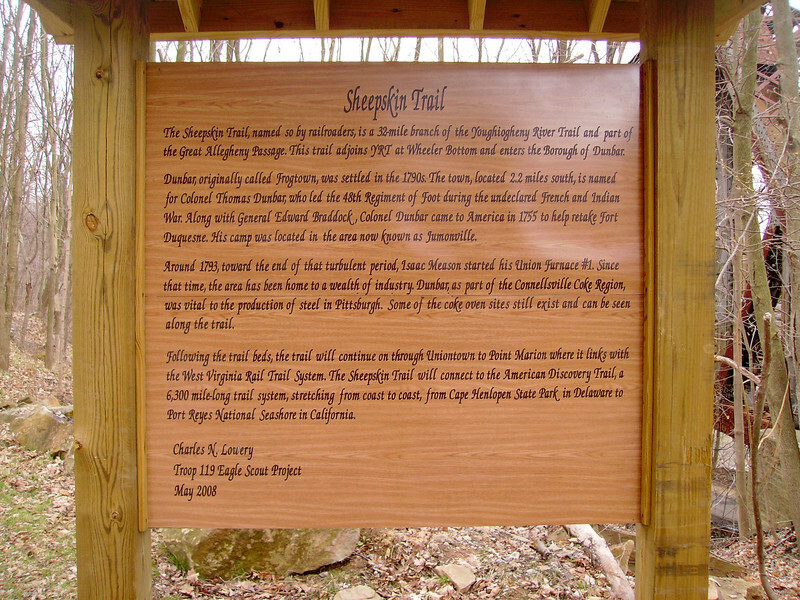 The trail is a regional connector for the Great Allegheny Passage, Mon River Trail, Youghiogheny River Trail, the American discovery trail, and many other trails. The trail lies on the former B&O railroad connection between Morgantown, WV and Pittsburgh, PA. The trail was funded through 3 Transportation Enhancement projects. These projects received $1.14 million in TE funding with an additional $190,000 coming through local matches. The funding helped to design, clear, and pave 32 miles of trail in Fayette County.